We had a need to take the temperature of an environment over a period of time, and record those temperatures for later analysis. There are a number of options for recording sensor data. If connected to a computer, the data can be saved by reading the serial output and storing that in a file. If there is an SD card connected to the Arduino, the data can be saved directly to the SD card. 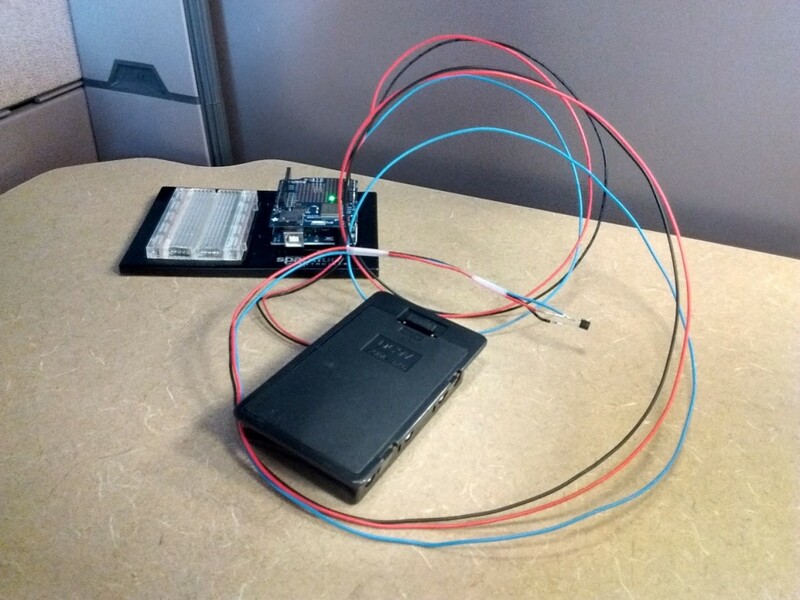 In this case, the Arduino needed to function by itself without being connected to a computer, so the sensor data needed to be saved to an SD card. We also needed the temperature sensor to be quite a distance from the Arduino and batteries, to minimize radiant heat affecting the temperature, so I soldered the sensor on to lengths of wire. A number of extension shields offer SD card readers. We had a WiFi shield with an SD card reader, so that is the one I used. Wifi Shield or other shield with an SD card reader. This sketch uses a Wifi shield with SD card. This one uses the Adafruit CC3000 shield. This set up works well with an external battery pack. // SPI and SD libraries. SPI for connecting SD card to SPI bus. Cite this post: Ammon Shepherd. 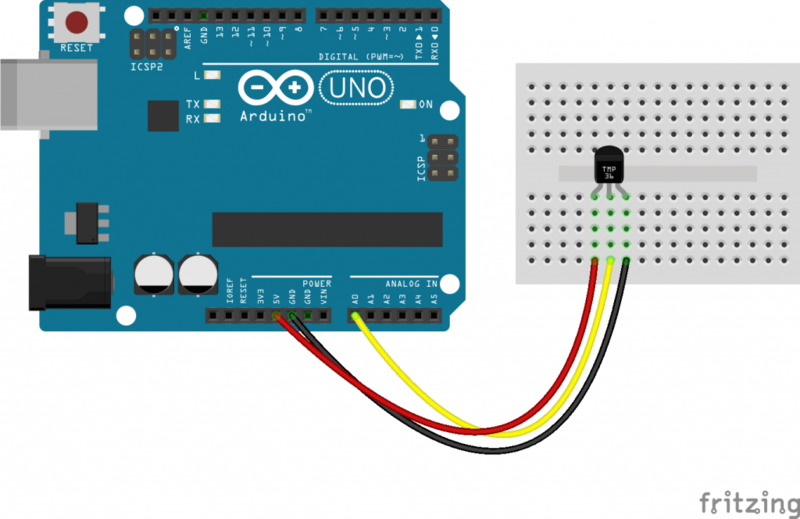 “Saving Arduino Sensor Data”. Published April 11, 2016. https://scholarslab.lib.virginia.edu/blog/saving-arduino-sensor-data/. Accessed on .